The Double El Conservation District (CD) annually provides a Tree Program to support our customers in their tree planting activities. Through two separate programs, offered each fall through early spring, you will find a variety of trees to enhance the sustainability and conservation of your land, all chosen and grown for their suitability for our area and with focus on their conservation efforts. Aimed to assist landowners in conservation goals, by providing at-production-cost seedlings in a variety of species. View full program details here. 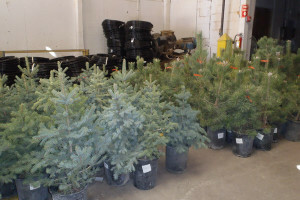 Provides purchase options of larger sized trees with no special requirements. 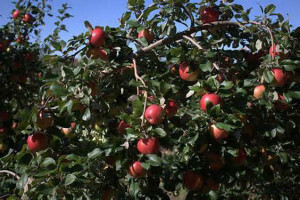 Source for fruit trees for your home garden or backyard. Polymer, weed barrier, rabbit guards, fertilizer, tree shades and drip irrigation supplies that have proven successful to increase the survival and growth of your seedling tree are available at the time of your tree order or year round through Double El CD office, or online during our annual Tree Programs sale dates. 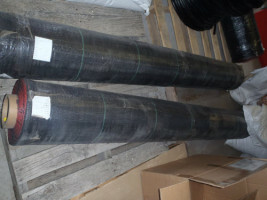 We highly recommend the use of polymer and weed barrier at a minimum (and either fencing and/or individual tree guards for areas prone to foraging by domestic or wildlife animals) simply because we have seen survival rates in the past 30 years go from 30 – 35%, without these survival accessories to a survival rate of 90-95% when these solutions are implemented in the beginning. All items must be picked up on the date & location announced for that year’s program. No delivery or shipping options are available. Failure to pick-up tree orders when designated will result in a daily handling & care fee. Double El is not responsible for trees once they have left the building. In addition to our website announcement, Double El also does a mass bulk mailing of an Annual Order Form for Proven Performers in December, so watch your mail box. While tree program orders may only be placed from late fall through early spring, our website contains overview information on the species available year round to aid in your planning and selection needs. 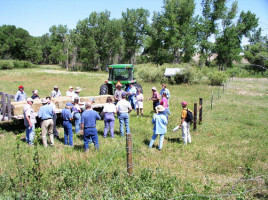 Free local workshops, sponsored by professionals, are held each year in the area to assist you in proper species selection, site planning, proper planting procedures, windbreak design and tips on how to successfully grow the seedlings. Be sure to visit our Getting Started page for handy how-tos and tips for every step of your participation in our Tree Programs – from planning, selecting trees, planting them and caring for them. We also provide educational and how-to articles in our Conservation Corner, as well as consultations and assistance from our staff – Contact Us!